The truck platoon is seen driving in Canada. 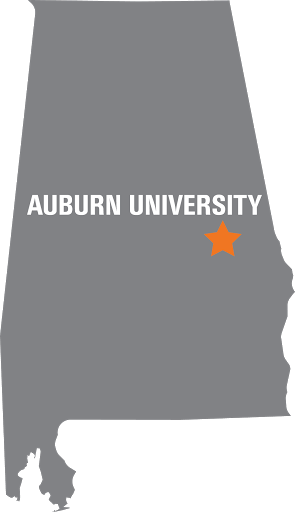 Auburn University and two of its research partners made history by conducting the first ever on-road commercial truck platooning trial in Canada. 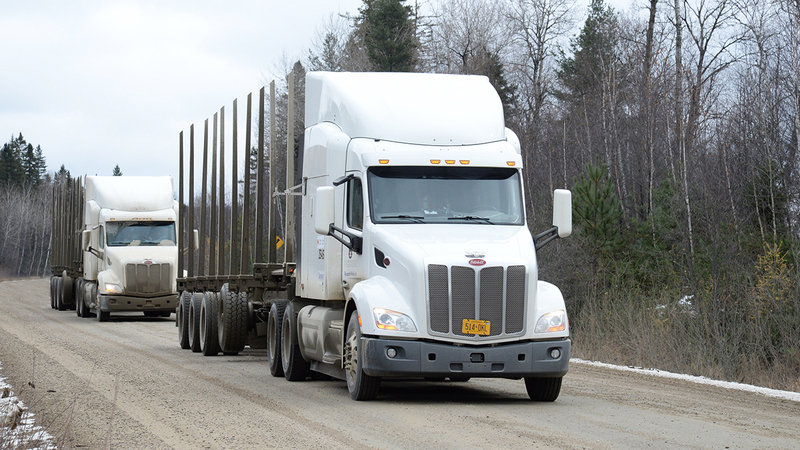 In concert with FPInnovations and Transport Canada, Auburn researchers conducted successful highway platooning tests Oct. 29 through Nov. 2 on highways around Montreal and surrounding areas in Quebec. The platoon consisted of two heavy duty transport trucks. Truck platooning is an emerging fuel-saving vehicle technology in which the trucks, driven in a convoy, are linked by a computer system that maintains the desired distance between them by controlling acceleration and braking, reacting faster than a driver usually can. Drivers were at the wheels of both trucks the entire time during the trials, but in the future, it may be possible for only one driver to be at the wheel of the lead truck followed by automated trucks. That technology is several years away from being a reality. Auburn has tested its truck platooning technology on U.S. highways before, but these tests offered a new environment for testing. A distance of between 65 to 100 feet was kept between the two trucks, which allows a passenger vehicle to safely cut in between the vehicles. The truck platoon travelled several hundred miles on highways with normal vehicular traffic.